The Secret Barrister went viral over the weekend for totting up all the crimes Kevin commits in the sequel, Lost In New York. It seems he could have been looking at several years behind bars if he was contending with English and Welsh law. The anonymous tweeter also pointed out offences carried out by other characters in an entertaining string of posts, including the kid’s parents. The lawyer claimed Kevin could face up to four years in a young offenders institution. Harry and Marv, meanwhile, could unsurprisingly be banged up for life. You can read the brilliant thread in full here, but in summary, it seems Kevin would face charges of attempting to inflict grievous bodily harm with intent. “As the closing credits roll, let’s look at the rolling total when it comes to sentence,” the tweeter wrote. “For conspiracy to murder a child, both Joe Pesci and Marv are looking at best at life with a min 30 yrs, maybe a whole life term. Abduction of a child with sadistic intent. “For two counts of attempting to inflict grievous bodily harm with intent, Kevin, with the heavy mitigation of youth and the fact that he was, after all, being threatened by madmen, will nevertheless be found dangerous. The parents don’t get away with it either. “Negligent Mom and Skinflint Dad are both getting 8 months’ immediate custody for child neglect,” the barrister added. 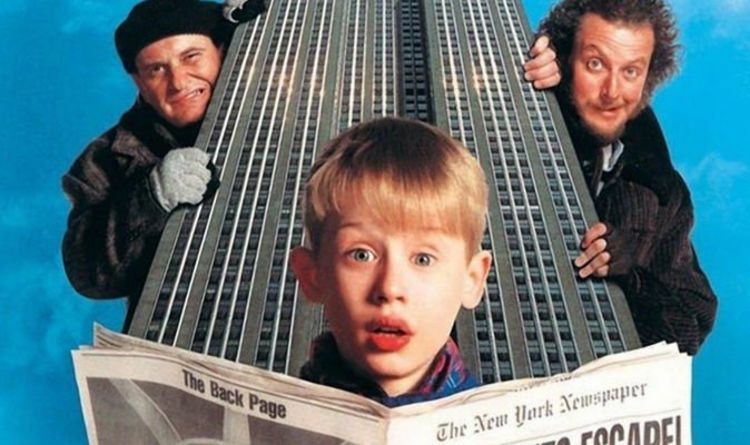 Home Alone 2: Lost In New York is available on NowTV.